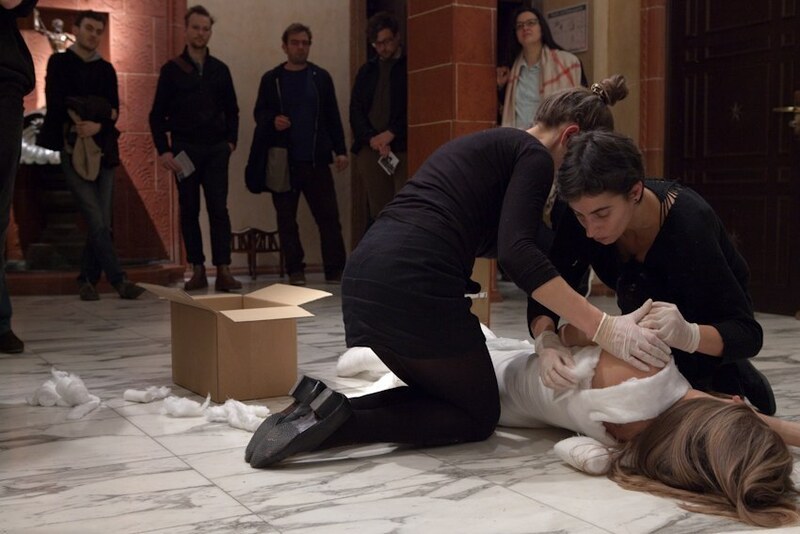 This piece reflects on the construction of the familiar and the alien, heroism and exoticisation, referring to the practice of representation by ethnographic exhibitions in the Western context, and related problems. My naked body was laying on the floor Leipzig Egyptian museum. 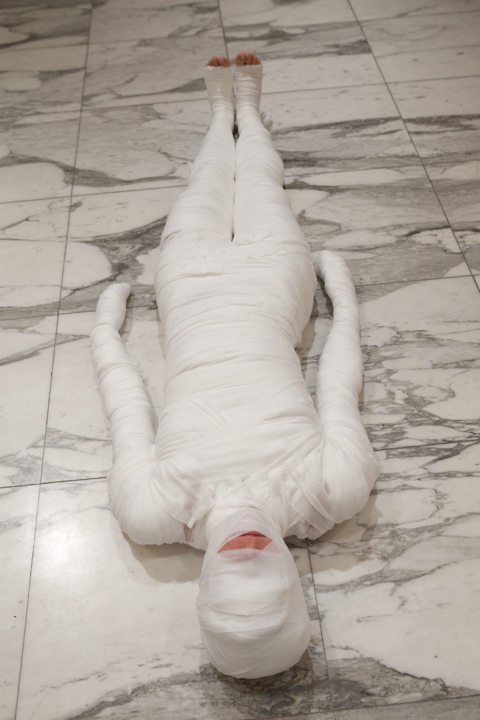 Two women started to wrap me in bandages covering me completely. 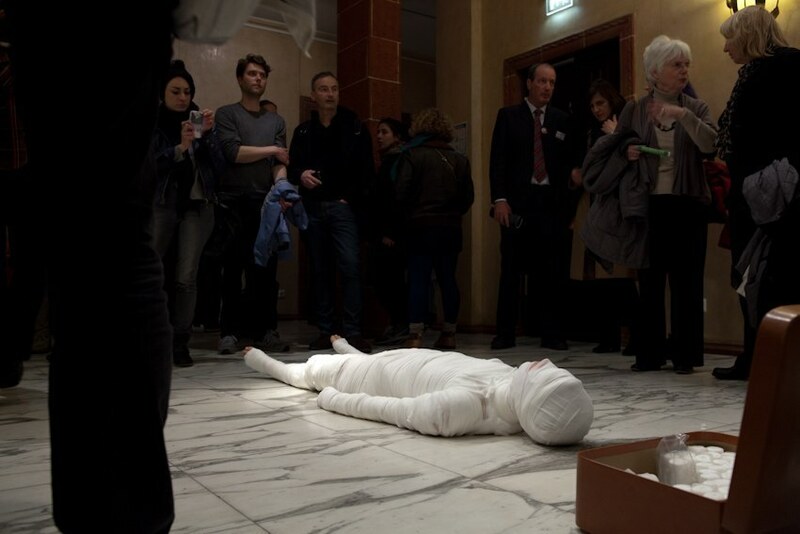 I remained in this position for the rest of the opening, surrounded by ancient mummies and sarcophagi. 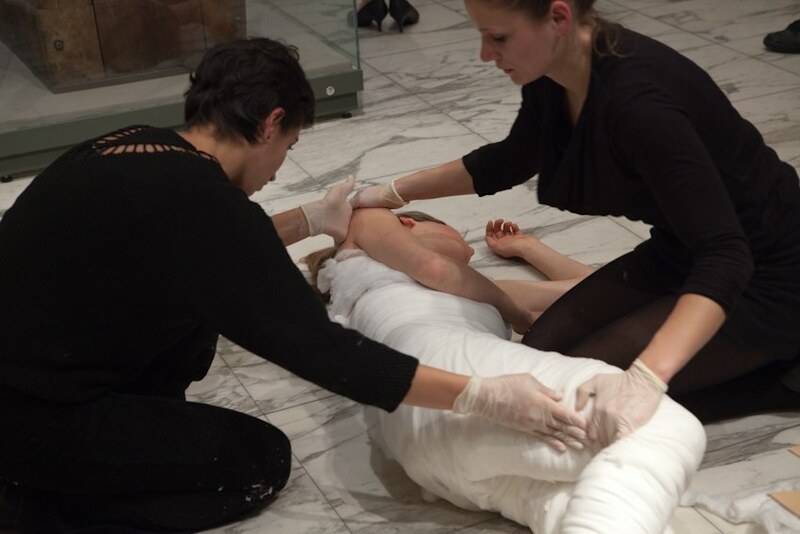 The work was originally inspired by famous press photo showing Mohamed Bouazizi in a coma, entirely wrapped gauze, when receiving state visit by then dictator of his country, against whose government he had directed his preceding life-threatening but pacifist protest, which is said to having released the `Arab Spring ́.